Progressive and interactive exercises for building aural musicianship. Starting with very basic intonation exercises in 2 or more parts, students and teachers will reinforce their facility with pentatonic tonalities. Intervals found within the pentatonic scales are introduced and practised in solfa and letter names. Extension tasks using all 5 pentatonic scales are included. This resource is great for beginning or established teachers who need a sequenced set of exercises to use in lessons in conjunction with their repertoire practice. 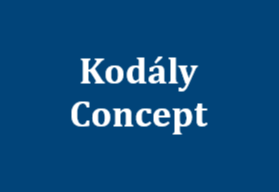 It is also interactive, so is a wonderful tool for school-age students to learn with at home. 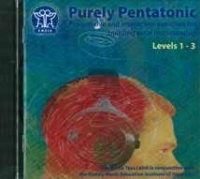 KMEIA thanks Tess Laird for her contribution towards creating Purely Pentatonic. 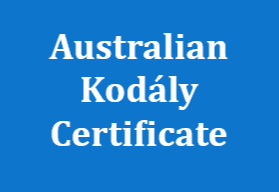 A popular educational resource for parents and teachers to assist children in the development of Listening, Memory Extension and Concentration. 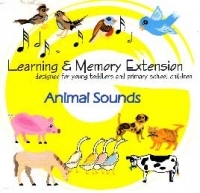 KMEIA thanks Gail Godfrey for her contribution towards creating Animal Sounds. 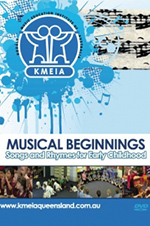 50 songs and rhymes developmentally-appropriate for Early Childhood settings produced by KMEIA Queensland. 50 tracks of footage showing real teachers with their classes, demonstrating the songs and rhymes with accompanying games and activites. A4 Blackline masters which include words and pictures for each song/rhyme (useful for take home activity sheets and/or classroom display). Teacher resource sheets, including sheet music for each song and accompanying information about the song/rhyme with ideas for classroom use. 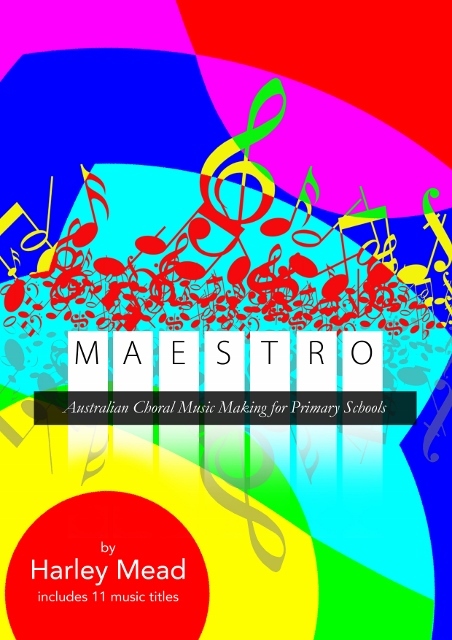 Teacher information on such topics as “how to teach a new song”, “tips for helping children to find a partner” and general information on the value of music education in the Early Years. Harley Mead’s book ‘Maestro’ was completed in early 2014. Harley’s professional advice to conductors which shares a lot of anecdotal stories from his own conducting experiences as well as his passion for composing. Included are 11 perusal scores written by Harley. Children love to sing! 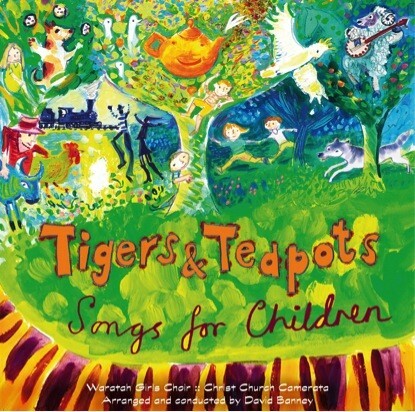 Tigers and Teapots gives children and parents plenty to sing about with 40 children’s songs both fresh and familiar, innovatively arranged by David Banney to make them fun to enjoy over and over. There’s I’m a little teapot, Drunken sailor, Old brass wagon, Apple tree, The birch tree, Twinkle twinkle, I’m a great big tiger, Baa baa black sheep, Three little ducks, Old Macdonald, Suo gan, Rover, Button, Dinah, Love somebody, and many more. Full lyrics to all songs are included in the CD booklet. Performed by the Waratah Girls Choir with Newcastle’s superb string chamber orchestra, the Christ Church Camerata. 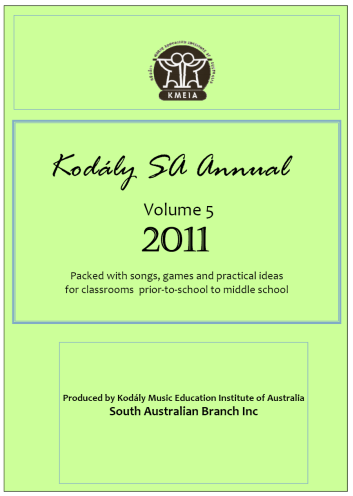 The Kodaly SA Annual contains loads of songs and games for teachers of children early childhood through to the middle years, based on practical classroom material presented each year at KMEIA SA workshops (and in SA newsletters). 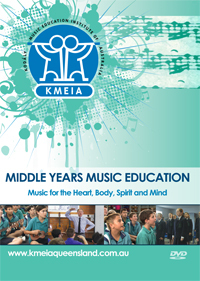 If you are new to KMEIA, this book will provide you with a range of ideas to build up your understanding of a Kodaly-based approach to music education. 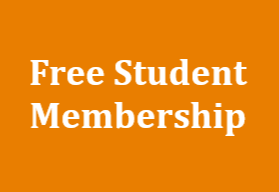 If you’re already a KMEIA member, it’s a handy reference and memory jogger. 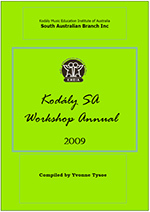 The Kodaly SA Annual contains loads of songs and games for teachers of children early childhood through to the middle years, based on practical classroom material presented each year at KMEIA SA workshops (and in SA newsletters). 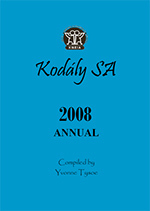 The Kodaly SA Annual contains loads of songs and games for teachers of children early childhood through to the middle years, based on practical classroom material presented each year at KMEIA SA workshops (and in SA newsletters).The CDs which accompany this product are non-performance CDs to support those unable to read print music.